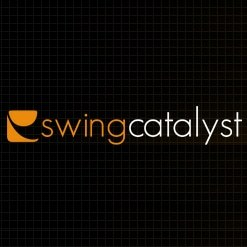 ORLANDO, FL, (January 17, 2012) – FlightScope is proud to announce its partnership with Initial Force AS, makers of the revolutionary Swing Catalyst video analysis products. “We are proud to announce this partnership with EDH, as it is one of the most recognized- and absolute high quality providers in the game improvement market for golf. We truly believe that this partnership will benefit all new and existing FlightScope customers who seek to combine their FlightScope tracking device with an easy to use video analysis tool.” said Tom Christian Lindvaag, Marketing and Communication Manager at Swing Catalyst. FlightScope will showcase this seamless integration in booth 801 at the upcoming PGA merchandise show held in Orlando, Florida from 25 to 28 January 2012. For more info and pricing contact sales or visit https://www.flightscope.com. Follow FlightScope® on Twitter at: http://twitter.com/flightscopegolf .